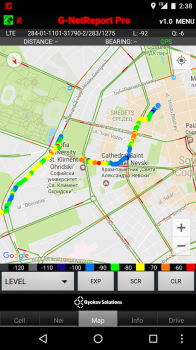 G-NetReport is an Android app for unattended mobile network measurements that sends logged data to online database. 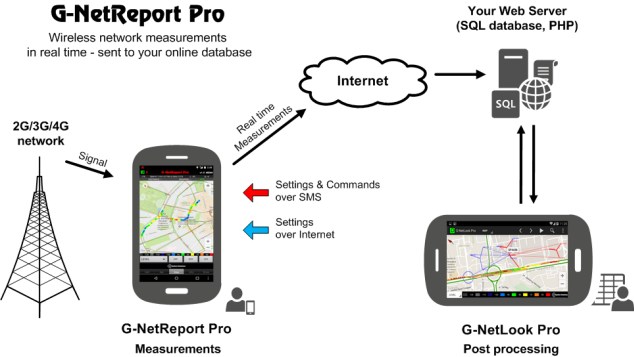 - G-NetReport Pro - full feature app similar to G-NetTrack Pro, but with included option to send measurements to custom database. - G-NetReport Demo - lite client for mobile measurements. The local version of it includes SMS sequence and SMS control. You can get it from here.